Posting on Gizmodo can be a huge benefit to any blog. I know I tend to say something like that about any guest post, but the fact is, a huge site like Gizmodo can refer a ton of traffic. You get massive exposure on Gizmodo itself, putting your name and bio in front of millions. 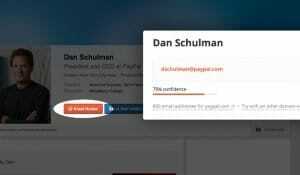 You get a ton of traffic referred to your site, where you can capture them as subscribers or regular readers. You open the door to future posts on Gizmodo, even the potential for an ongoing column on a regular basis. Don’t believe me? Here’s a case study from someone who had their post syndicated on Gizmodo. They received something like 30x more traffic the day the article went live than they were getting daily beforehand. When the initial spike settled, they had gained hundreds of new subscribers and doubled their daily traffic. Don’t forget all of the fringe benefits. People around the world contacted this author with everything from interview requests to offers to meet up while traveling to advice on how to capitalize on this newfound fame. 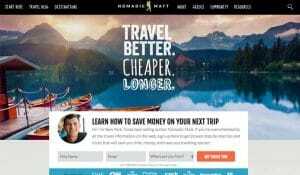 You can leverage one guest post into a whole lot more. Gizmodo has been a tech and culture blog for a long time, and it has seen a lot of different shake-ups and scandals over the years. It started in 2002 and was part of the Gawker Media Network. 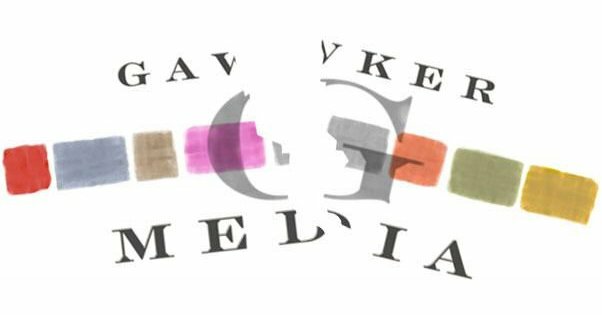 Gawker contained a large number of niche blogs, all with roughly the same format and style, each focusing on a different major topic. It runs on the Kinja platform. These days, Gawker is dead, largely due to issues caused by Hulk Hogan and, well, you’ve probably heard the story. It’s tertiary to this post, so don’t worry about it. Suffice to say that Gawker is dead, but Gizmodo lives on. 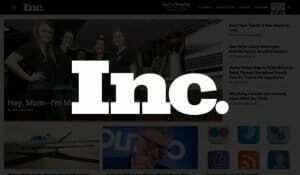 It’s now part of the Gizmodo Media Group, which is part of the Fusion Media Group, which itself is part of Univision. Univision, if you aren’t aware, owns a shitload of media companies, including The Onion, the whole Gizmodo group that includes Jezebel, Lifehacker, Kotaku, and more, plus a ton of TV networks and Spanish-language media. This is also slightly beside the point. You can’t go to Univision and ask them to publish your content on Gizmodo. At least, you can’t do that unless you have a few hundred million dollars and offer to contribute to their platform in some way. You know, the usual megacorporation negotiations. No, you’re more likely going to need to deal with the staff of Gizmodo directly. So how can you potentially get your content featured on Gizmodo, to capture all of these benefits for your site? Here’s a five step process you can try. One thing you should recognize is that Gizmodo is not just Gizmodo. Io9, formerly a science fiction and futurism blog of its own, has been rolled into being a sub-section of Gizmodo. Therefore, you can cover topics that reach either one of them to be covered on the Gizmodo domain. 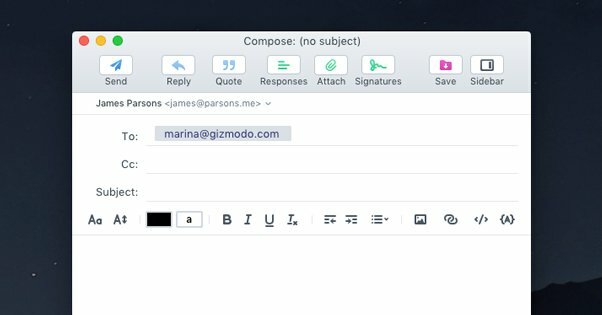 Gizmodo maintains an article about how they prefer to be pitched for contributions, which can be found here. Be sure to check it to make sure nothing major has changed since I wrote this. 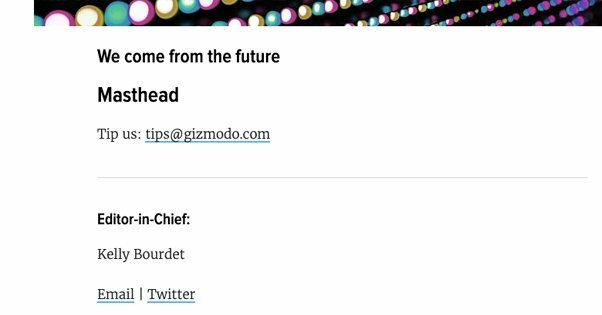 Gizmodo wants to cover anything related to tech or current culture. Technology and science are welcome. Content that covers space, gadgets, tech, robotics, and all that kind of stuff is great. Pretty much any topic can be great if you tie it into tech in some way. I recommend taking the time to read a few pages of the blog, if you’re not already a regular reader. They cover a huge variety of content! Just scrolling through their front page right now, I see reviews of new laptops, a strange new infrared hair dryer, a video about the worst new tech of the previous year, a report about a political Twitter account, climate tech, the war against Amazon in New York, energy efficiency tips for homes, and a whole lot more. Io9, of course, focuses on science fiction, fantasy, horror, and the supernatural in media. Horror conventions, the new season of Doctor Who, nerd culture, and any of that kind of content counts. The io9 section I see right now has posts about upcoming movies, stuff about upcoming Done and Star Wars movies, coverage of Bird Box, game mods and retro game devices, and a lot of other media content. Deep reporting. They prefer reports that go beyond the surface level analysis and bring humanity to a concept. Interviews are required for most such content, and if you’re covering something where the people involved are dead, you’re expected to interview people who study the subject, historians, or other people close to the subject. Reports on personal experiences, so long as those experiences are unique. If you’re attending an event, convention, conference, or other gathering, it can be a good pitch, if you have a unique perspective on it. Don’t just go to Comiccon and assume your tales of browsing vendors and attending panels will be worthwhile. Even better if it’s not an organized event, but a unique adventure you’re embarking upon yourself. Deep dive profiles of specific noteworthy people. Interviews with people who rarely give interviews are great. Any story that hasn’t been told before, but is interesting and worth telling, is a great idea. Reviews of consumer technology. Don’t, however, just do a superficial review of a new Dell laptop or something. Review a specialized gadget designed for a unique task. Review nostalgic tech, or resurgences of old tech. Review off-the-wall tech most people might not encounter. Any worthwhile interviews. An interview with someone writing a book relevant to modern culture, someone producing tech, or someone involved in a new invention can be a good idea. Rarely, a recurring series. Gizmodo has a few of these, but you have to be really good at what you do and have a very unique idea for them to consider giving you a recurring spot in their editorial calendar. As for io9, basically anything that covers their topics in an ambitious or deep-dive style can be considered. Anything with a unique angle is of great benefit. Maybe you’re the marketing expert who can write a deep analysis about the skyscraper advertising in cyberpunk! Hear me out, don’t skip this section! See, here’s the thing. 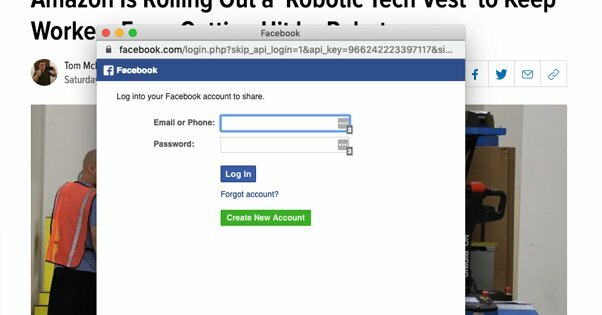 There are two ways you can get your content featured on Gizmodo. One is to do the standard guest post thing, where you pitch editors and get content written explicitly for the site. The other is to write good content that trends, captures the attention of someone at Gizmodo, and gets them to syndicate it. That example up above? That guy’s post was syndicated. He didn’t pitch Gizmodo. He didn’t contact Gizmodo in any way; in fact, they contacted him. All he did was write a pretty cool article that got picked up on other popular content aggregators like Hacker News and Reddit, and it got Gizmodo’s attention. The best kind of content shares a few common attributes. 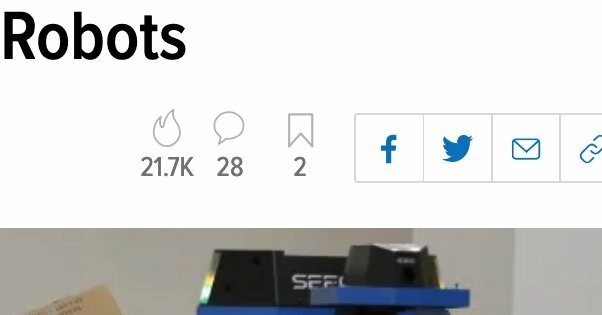 For a site like Gizmodo, it’s generally content that is well written and is easily broken down into small, bite-sized chunks. You know, the usual kind of subheading-filled list of tips. It should also have a bit of internal narrative. Don’t just instruct people; teach them why you’re teaching them, and get them to want to be taught. Something with actionable steps, something users can replicate, is great as well. Gizmodo is the kind of site that gets a ton of pitches every week, so I’m spending this tip focusing on the other means of getting featured, syndication. You need to catch the eye of the people in charge, and that means exposure. A lot of this is stuff you should be doing anyway, but I’ll further emphasize it. Share your content on social media! Facebook, Twitter, and Reddit in particular are the best places to be seen. All three of them have tremendous viral power, and if you catch the wave at just the right time, you’ll see a huge spike in people coming in to see what the fuss is about. The more exposure you have – and the better your content – the more likely some major sites are going to take notice. Whether or not Gizmodo is one of them simply depends on if you attract the attention of the editors with the right kind of content. See step 1 for that. Now, I always like to butter up the people in charge before I go pitching something, unless I know for a fact what I have to write is solid gold. Unless you’ve finally tracked down the real actual creator of Bitcoin, or you’re resurrecting the creator of the telephone to show him a cell phone, you’re probably not going to be quite that confident in what you’re producing. If you are, well, great! A lot of award-winning content out there is produced by average people with the right connections and the recognition of what they have. I like to lower the bar a bit. Start following the writers and editors of Gizmodo on Twitter. Leave comments with your perspective on the blog posts and tweets. Your goal is to just become a bit of a familiar face, and to get some of these people to check out the kind of content you’re writing. You don’t have to be linking your own stuff in their feeds, and in fact, it’s pretty selfish to do so. Just contribute your opinions, have your website linked in your bio, and let nature do its thing. Who should you network with, you ask? Good news! Gizmodo has a list of the people working for them published here. Plus, you don’t even have to do the legwork of tracking down their social media, since their Twitter links are right there next to their names. Key names you might consider focusing on are the editor in chief, the managing editor, the features editor, the deputy editors, and the senior writers who are most in line with your content. At this point, you can start sending your pitches through. According to the guidelines I linked above, you should send your pitch to either the features editor (marina@gizmodo.com) or to the general pitches inbox (pitches@gizmodo.com). You can also send pitches to specific editors of specific sections your content fits with, but be aware that they might prefer to get their orders from on high, and would rather you send your pitch to the appropriate inbox. 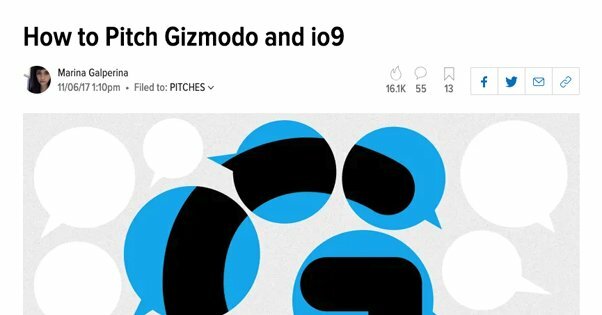 As for what the pitch should contain, Gizmodo asks for a paragraph or two that summarizes your story, along with notes of who you plan to interview and why they’re relevant, and why the story is a good fit for Gizmodo as a whole. Include links to your portfolio. As for io9, they want basically the same thing, but aren’t as strict about needing interviews to make the content good. Good luck, friends! I hope you manage to get your slice of the Gizmodo pie.